Watergon Inc is here for all of your Chula Vista water damage restoration needs! Our trained professionals are available 24/7 for all of your water damage concerns. We'll even work with your insurance companies! Call us today for water damage restoration in Chula Vista! Call (Sorry, we are unavailable) for Fast, Affordable Water Damage Restoration Services. Watergon is the Chula Vista area's go-to for expert water damage restoration. With over 25 years of industry experience, our licensed and insured restoration specialists are equipped with the knowledge and skill to help you with any size restoration project. We are committed to following the high standards required of an IICRC and LEAD Certified firm and will make sure to return your home or office to its pre-disaster condition safely and quickly. Water damage can be difficult to repair and can eventually lead to mold and costly renovations if not taken care of immediately. Watergon Inc knows the proper steps to take when removing water from your home or office while restoring your property to make it look brand new! Our professionals inspect the damage, remove all water and destroyed property, and finish with our pristine renovation services. Watergon Inc understands natural disasters and leaks can ruin your home and belongings. We want to help. Alongside restoration, we also offer packout and storage services to take the stress out of packing and storing your own belongings while your home or office is under renovation. Our technicians are on call 24/7 to service you today! When a water emergency strikes, you need help fast. The professional water damage restoration specialists at Watergon Inc have years of experience helping residents and business owners fix water damage issues quickly and correctly. We understand that water damage emergencies are impossible to predict, which is why we are available 24 hours a day, 7 days a week to help you with your Chula Vista water damage problem. It's important to act quickly when your Chula Vista area home or business is affected by water damage or a flood. The faster you take action, the more likely you may be to prevent even further damage. It's important to have a professional water damage company, like Watergon Inc, assess the situation and minimize the damage to your property. If you are experiencing a water damage or flooding issue, give us a call 24 hours a day. Our highly trained professionals can assist you in determining the best course of action to return your Chula Vista home or business to a safe, dry environment as quickly as possible. Contact us today at (Sorry, we are unavailable) so we can help you with your Chula Vista water damage issue. If your Chula Vista area home or business has suffered flood damage, the pros at Watergon Inc are standing by ready to help. We pride ourselves in responding to flood damage quickly, as quick action is often critical in order to prevent or at least mitigate serious structural or other damages that may be a risk due to flood damage. At Watergon Inc, we use only modern equipment to dry out your Chula Vista area home or business after flood damage has occurred. It is important for the areas affected by flood damage be properly dried to prevent mildew, mold, or other moisture related issues. We'll make sure that the flooded areas are dried out and that your Chula Vista area home or business is restored to its pre-flood condition. Contact us at (Sorry, we are unavailable) so our skilled professionals can help you with your Chula Vista flood damage issue. At Watergon Inc, we are experienced in working with insurance companies. 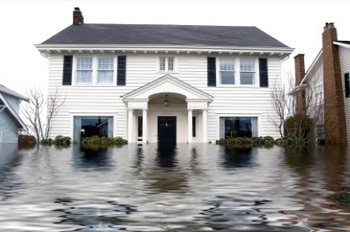 Many times in home flooding situations, homeowner insurance will cover the cost of getting professional water damage contractors to ensure that you, your family, and home or business is safe and that the restoration is completed according to national standards. Many common causes of flooding or water damage in the Chula Vista area are often covered by homeowners insurance, including floods from bursting or breaking pipes, dishwasher leaks, water heater leaks, washing machines leaks, toilet overflows, and many other causes of water damage. If your Chula Vista area home or business has been affected by flooding or water damage, give the pros at Watergon Inc a call today. With years of experience in water damage restoration, the experts at Watergon Inc are familiar with various types of insurance coverage. We will work with your insurance company to help get as much of your restoration project covered as possible. Let the pros at Watergon Inc help make this stressful process easier on you and restore your Chula Vista area home or business to its pre-flood condition. Contact us today at (Sorry, we are unavailable) so we can help you resolve your Chula Vista area water damage issue. The key to a successful water damage restoration is quickly removing all standing water so your structure can dry. At Watergon Inc, we are experts at handling water damage and flooding, and especially at fast, professional water extraction. At Watergon Inc, we work with modern water extraction equipment so that when your Chula Vista area home or business needs to have standing water removed, our highly trained water extraction professionals can get the job done quickly. It's important to remove all moisture remaining after your water damage issue to prevent the growth of mildew and mold. 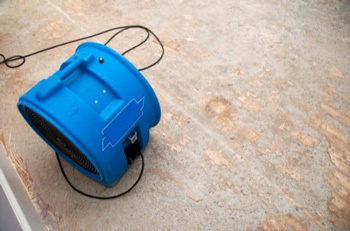 Watergon Inc can assist with your Chula Vista water damage restoration project by extracting all water and moisture as well as thoroughly drying all affected areas. Contact us today at (Sorry, we are unavailable) so we can help you with Chula Vista water extraction and dryout services. Residential water damage is usually unexpected, and can be caused by a variety of things, including broken pipes, washing machines, leakage and overflows from water heaters, refrigerators, roof leaks, dishwashers, sewer backups, and more. At Watergon Inc, we understand that it is very discomforting to see your Chula Vista area home or flooded with water damage and are here to help you quickly return your home to a safe, dry environment. To restore your home to its pre-damage condition, correct drying of the affected areas is essential. This will ensure that dangerous substances, such as mildew and mold, can't grow. At Watergon Inc, we will not only quickly extract water from your Chula Vista area home, but our highly trained water damage technicians will make sure that your home is properly dried out to prevent any future problems with mold or mildew. At Watergon Inc, we are here to ensure that your Chula Vista area home is restored as quickly and as professionally as possible. In order to minimize the damage and restore your home to pre-flood conditions, our highly trained restoration professionals are ready to act quickly to solve your water damage issue. Contact today at (Sorry, we are unavailable) so we can assist you with your Chula Vista water damage issue. At Watergon Inc, we understand that water damage and flooding can do untold damage to your Chula Vista business. Floods are the single most costly disaster in the United States, causing over a billion dollars in damage per year, and can be espicially damaging when they hinder or stop your company's regular business. If your business has suffered flood damage, the professionals at Watergon Inc can help. Give us a call as soon as possible after the flood or water damage occurs, as often times flooding and water damage need to be addressed as soon as possible to prevent potential permanent structural damage. The Watergon Inc team is committed to using modern drying technology and water damage repair techniques to restore your Chula Vista business to its pre-flood condition. We pride ourselves in our quick response time and our highly trained water damage restoration professionals will make you feel at ease about your commercial water damage issue. At Watergon Inc, we have the experience and the know how to handle any kind of commercial water damage problem. Contact us today at (Sorry, we are unavailable) so we can help you with your Chula Vista commercial water damage issue. Unlike a flood caused by an overflowing sink, for example, sewer backup water easily transmits hazardous pathogens. As a result, it is highly recommended you hire a professional sewage damage removal company like Watergon Inc to safely, and properly handle your sewage clean up project. Our team has the proper training to know where it is safe to enter the building, how to safely dispose of the contaminated water, and when it is safe to re-enter your property. When you experience a sewage backup, it's important to not try to resolve the issue on your own. Because issues with your sewer system can affect the entire neighborhood, you need a licensed professional to resolve yours sewage backup issue. Watergon Inc is licensed to handle nearly any residential or commercial sewage cleanup issue and is committed to performing the work as quickly as possible. Contact us today at (Sorry, we are unavailable) to schedule an appointment for Chula Vista sewage clean up. Service Warranty	Call for details. Went well. In an emergency and in a tight spot, I called several other companies and Watergon and Cody were the first to respond AND arrive at my house. None of the other companies in the area showed up, and only 2 of them replied via call/text A DAY LATER saying that they couldn't do the job. Not going to fly in the face of an emergency. The work Cody performed was quick, thorough, and professional. He identified the source of the leak, and eliminated all other possible sources of leaks that could be masked by the more obvious water heater leak. Moving a water heater from inside the house to outside in the garage is no small task. Gas and water lines have to be moved, vent has to be relocated, placed on a stand and strapped down, old pipes needed to be trimmed. Cody was able to do all that by himself in a day. After all was said and done, the water heater got moved to the garage and we in fact gained a closet space where the old unit used to be. As for the man himself, Cody was always courteous, friendly and professional. His work and his personality reflect a great credit upon himself and his company. I believe a company has to earn a customer's loyalty, and next job that comes up, whenever that may be, I'll be sure to ask for Cody from Watergon. On time, courteous, skilled and fair priced. No up selling on other services as is common now. Would definitely recommend. Wayne was very caring and helpful is getting the repair work done. Fast and quality work done. Would highly recommend. Stephen was very pleasant to have in our home. His work space was clean & tidy, he was fast and his quality of work is very professional. Wayne was my Plumber. Wayne was very courteous. He made the appointment on time and he completed the tasks as agreed. I cancelled the first appointment and he never gave me a hard time. Wayne understood my hectic work schedule and made it easy to communicate via text. I would definitely recommend this company. I am now trying to find other projects for which I can hire them again. Thank you Watergon, Inc. for helping me at a time I am recuperating from other companies that have disappointed me in the past. In all seriousness, and I would not be shy about a negative, these folks where/are great. Jennifer at the office was polite and thorough. There was a need, on their side, to change appoint time which I was fine with. They likely would have adjusted was I not. When they (Dan) did arrive they were timely, professional, I had three leaks in the upstairs toilet and needed to re-install my kitchen disposal that was also leaking. He did all three and I was honestly surprised at how fair the price was. We were very impressed with the workmanship and professionalism of Johnny. He went above and beyond to help us with our leak. I would highly recommend him. Very helpful company with great service! Jennifer has been in communication with me for some time now about different problems I have had and worked very well for us. We used Watergon after we discovered a leak in our kitchen. The office personnel was informative and kind guiding us through a water problem that we, as new home owners, had not experienced before. The service professionals that controlled and repaired our leak were thorough, polite and extremely helpful. The "tent" they created to enclose our damaged area was amazing in its construction. They used fans that were very tolerable in decibel level, while still drying out our area rapidly, as well as adding additional units that prevented any humidity from traveling to other rooms. They were clean and thorough. They tested for mold and educated us along the way to water damage issues and molds issues, assisting us to prevent any further water problems. I would highly recommend this company! The person doing the installation was very polite and did a very good job. Left no mess and answered any questions I had. Call us 24/7 at (Sorry, we are unavailable) or schedule an appointment below. Watergon Inc is Chula Vista's go-to for water damage restoration. Our team handles all forms of water damage from natural disasters to pipe leaks and sewage backups. As a locally owned and operated business, our fast service is here to handle all of your water damage needs to get your home of office back to normal. With over 25 years of experience, our licensed technicians have the tools and knowledge to manage all of your water damage restoration needs. We know floods and other forms of water damage can be stressful and ruin homes and belongings. At Watergon Inc, we work with your insurance companies to ensure your water damage is covered. Our trained professionals are here to help you in your time of need. Call us today at (Sorry, we are unavailable) for all of your Chula Vista water damage restoration needs!